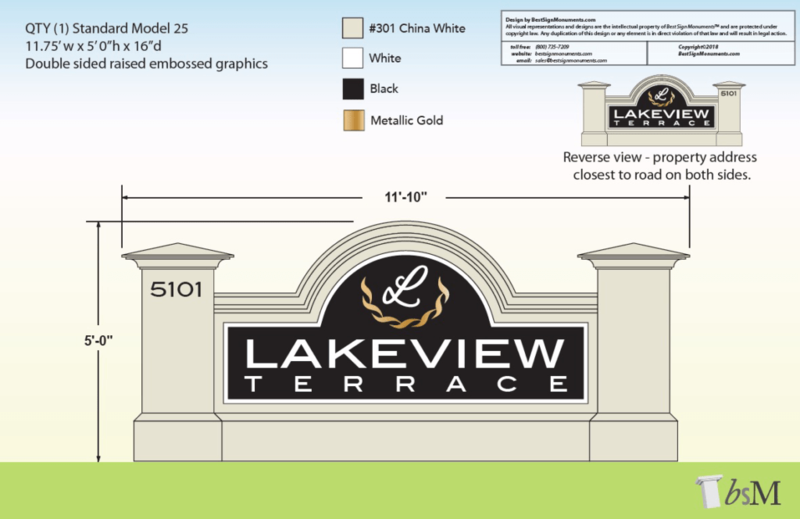 We design and produce community entrance sign monument projects. Buy direct from us, the manufacturer, and save. We were requested to design, produce, and deliver a community entrance sign for one of our many national property management companies. While none off our sign monument products require a concrete footer, this customer had issues with visibility from traffic coming both ways. They opted to construct a traditional brick & mortar base for our sign monument to rest upon. Contact our Sales Team to get your free initial consultation. We look forward to working with you. 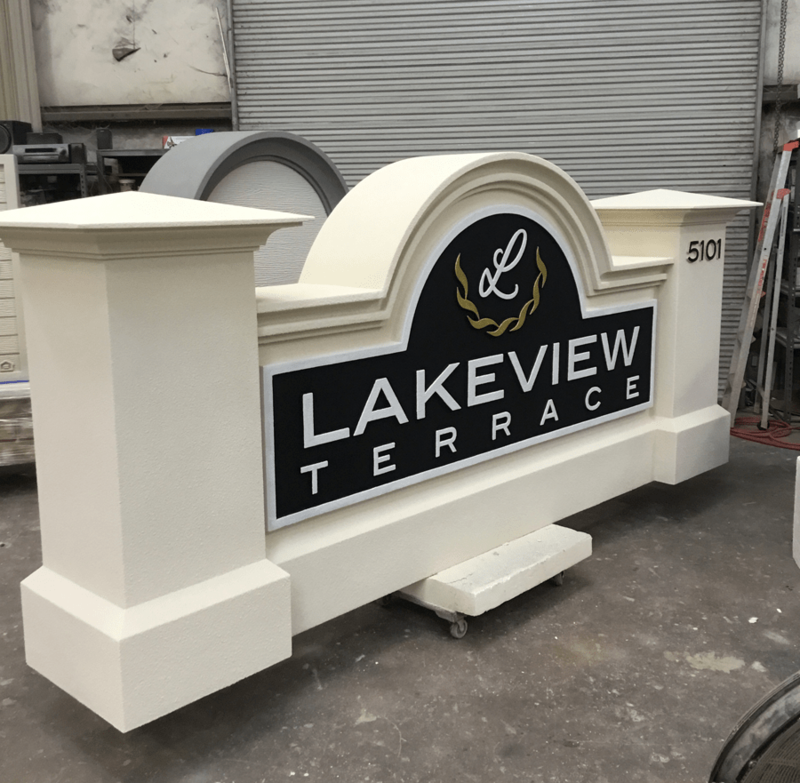 We welcome any challenge in custom entrance sign monument designs, and can produce anything you can imagine! Please use our online contact form to start your next sign project. 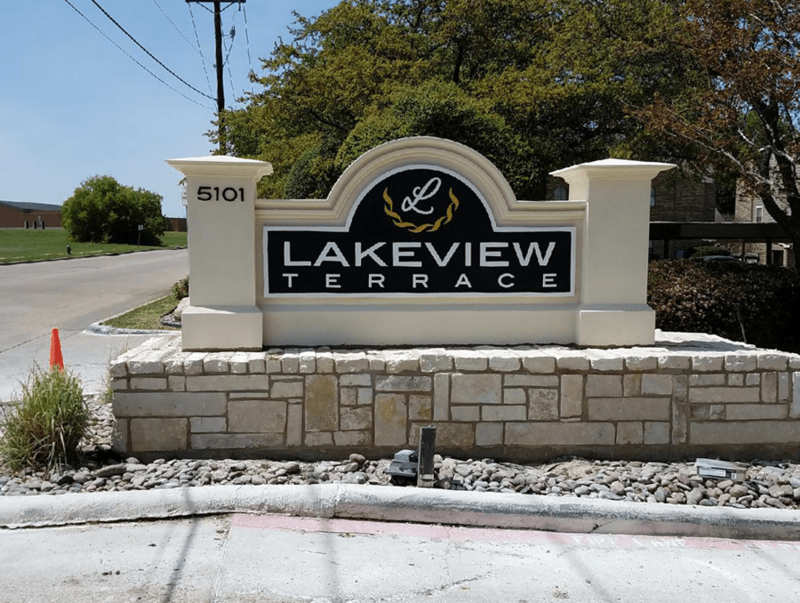 This entry was posted in Completed Sign Projects, Monument Signs, Property Developer Signs, Residential Signs, Sign Design by BSM Staff. Bookmark the permalink.